Waller County Affordable Criminal Defense Lawyer James (Jim) Sullivan is an experienced Criminal Defense Attorney. Since 1994, Sullivan has successfully fought the government in Jury Trials on behalf of clients in criminal and juvenile courts. If you are under investigation or have been charged with a crime or delinquency, call Hempstead Texas criminal defense attorney James Sullivan to discuss your case. 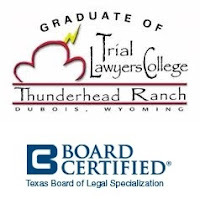 Hempstead Texas Juvenile Attorney James Sullivan is Board Certified in Juvenile Law by the Texas Board of Legal Specialization. Juvenile law is different than criminal law.